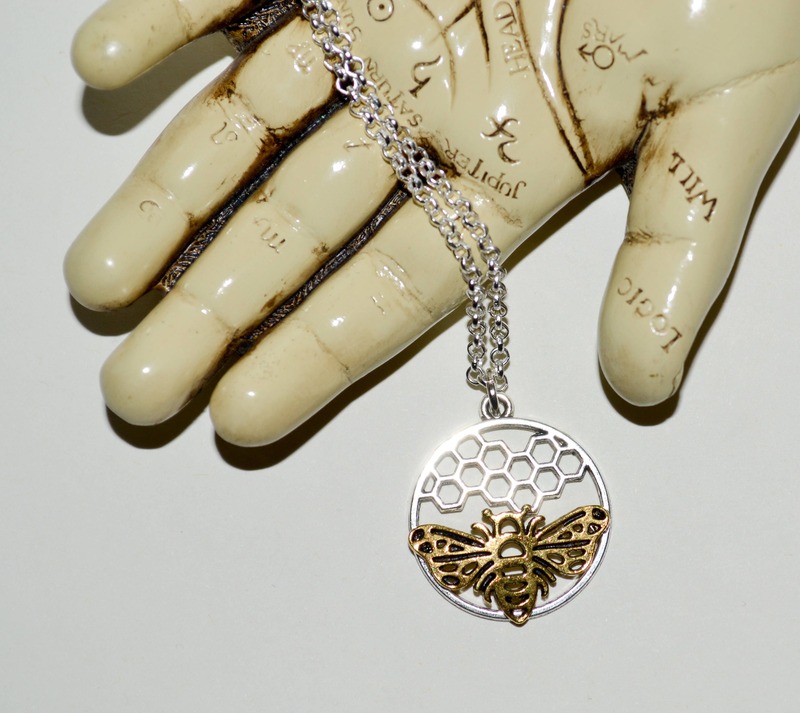 Following the horrific attack at a music concert in Manchester on May 22nd 2017, the 'Manchester Bee' is being proudly displayed the world over as a symbol of solidarity and unity. "We have been assured by the British Red Cross that every penny raised by our fund will go to the families of those affected by Monday’s terrible attack. It will form part of the We Love Manchester Emergency Fund, launched by Manchester City Council and British Red Cross. Together we can make the greatest impact to help people affected by this devastating attack. Manchester City Council and British Red Cross both have experience in administering funds in emergencies and we want to make sure people get the help they need as soon as possible"
Why do this? Well some of the best times of my life have been in Manchester, at gigs. I was in Paris in November 2015 at a concert, a few days before the Bataclan attack. I was also in London on Saturday night at a gig, at the same time that London Bridge was under attack. This *really* hit home for me. Nobody should go to a concert, and not return home, ever. The families of those killed and injured are irrevocably changed. I hope they at least know that they are in our thoughts. 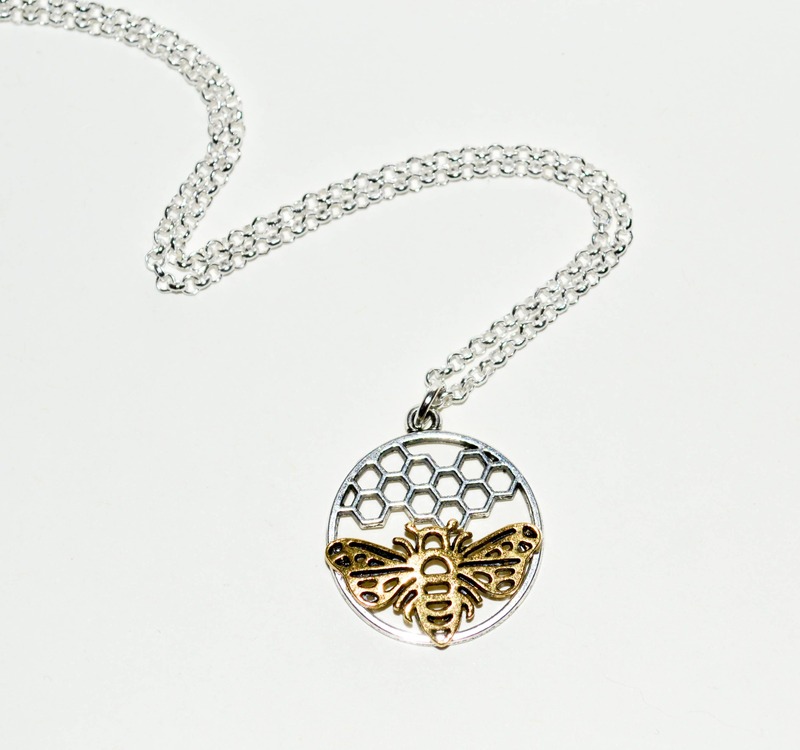 This charm is a silver plated honeycomb disc which is just over 25mm (1") diameter, with a gold metal bee. 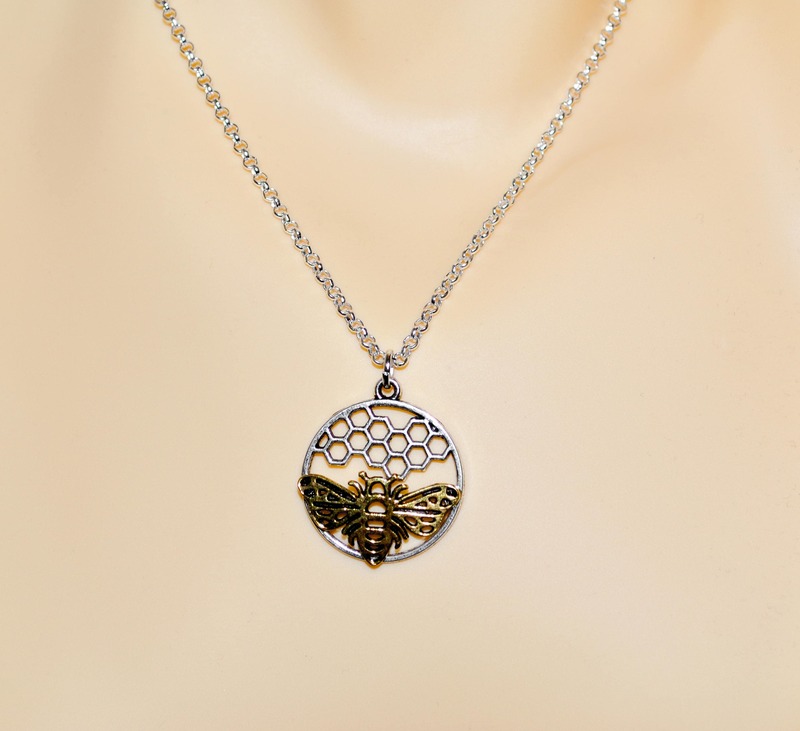 The charm hangs from a silver plated chain in your choice of length. 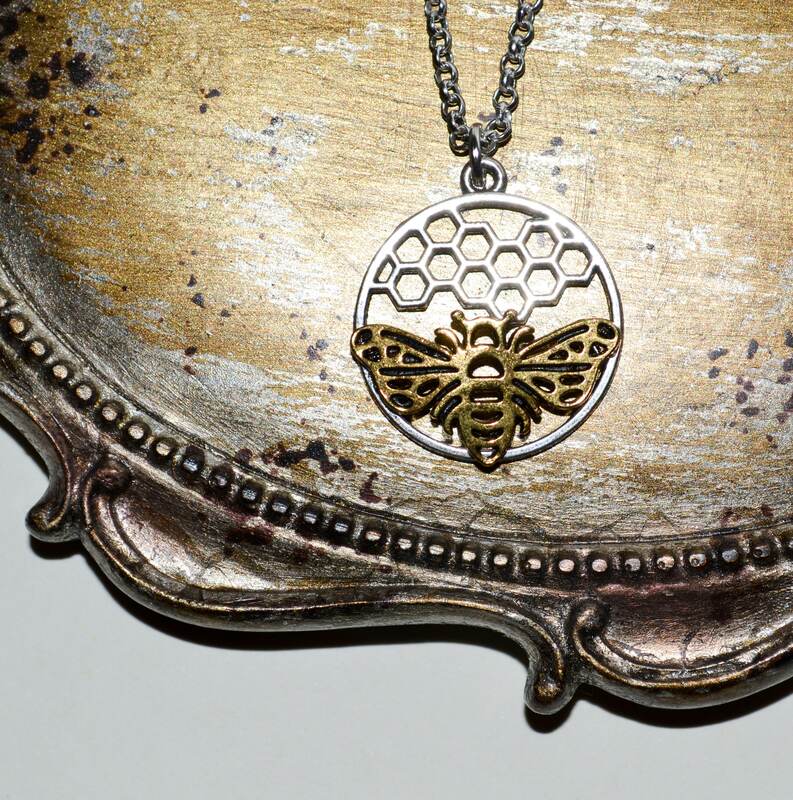 Please be sure that every penny from each necklace sold will be donated directly to the Crowdfunder appeal. Postage costs will not be donated, however they are my standard charges, which accurately reflect both domestic and international shipping - I will not be making a profit on this.